This is very much a follow-up to my previous post (q.v.) less than five months ago, whose celebratory tone has proved premature. It now appears that the Israeli military authorities have decided to ignore an April ruling by the nation’s High Court of Justice. That order called for the military to shelve their ill-conceived plan to mar the picturesque Cremisan Valley south of Jerusalem with further construction of the Separation Barrier, appropriating many acres of Palestinian-owned land in the process. 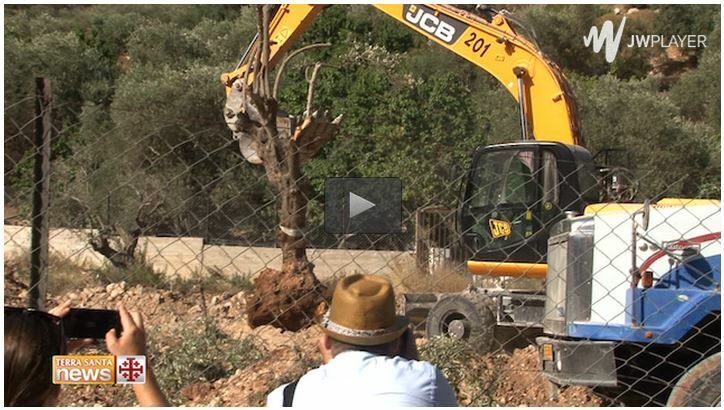 In short, the pointless, land-grabbing Wall is “on” again at Cremisan, starting with the uprooting of dozens of olive trees– some of them hundreds of years old– from Palestinian land in late August. Indeed, nothing could be more symbolic of the slow but inexorable uprooting of the Palestinian people themselves. The renewed work on the wall serves as a reminder, if any were needed, that nothing is ‘final’ when it comes to orders of Israel’s High Court– which, in the end, has no enforcement powers– and that what ultimately rules in such instances is almost always the national ethos of Jewish settlement and Arab-Palestinian dispossession, not justice. Although a new petition against the barrier has been filed, the Court has refused thus far to renew an injunction against the project, one that had remained in force for the past nine years. [T]he fact is that Israel created a reality in which the people of al-Walaja have no way of building legally. 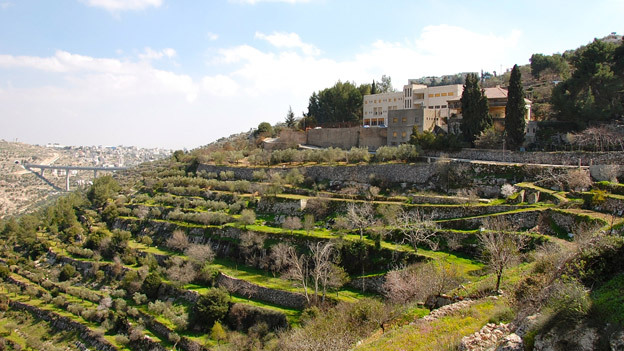 Despite the annexation to Jerusalem, the municipality has never once produced a master plan for the village, which prevents its residents from obtaining building permits. The municipality rejected a master plan presented by the residents, along with Israeli NGO Bimkom and architect Claude Rosenkowitz. On the other hand, the state approved building in the adjacent Israeli settlement, Har Gilo, as well as the Jerusalem neighborhood of Gilo. Parts of both Har Gilo and Gilo are built on al-Walaja’s land. This entry was posted in Bethlehem area, Occupied Territories, Separation Barrier, The Occupation and tagged Beit Jala, Bethlehem, Cremisan, High Court of Justice, Palestine & Palestinians, Separation Barrier, The Occupation. Bookmark the permalink.